Itineraries include Antarctica, South America the Caribbean and beyond. Enticing itineraries that travelers can look forward to include a Canary Island Classic, November 13th to 22nd (nine days) – Inviting beaches and lush gardens, exceptional wines and delicious ports are key highlights of this cruise. Guests start-off in the beautiful city of Lisbon and then on November 15th explore Madeira and Funcal. On November 16th, the ship sails to Santa Cruz de Tenerife, Canary Islands and onwards to Arrecife, Lanzarote on November 17th. Stops will be made in Malaga, Spain on November 19th and then you cruise the Mediterranean Sea before arriving in Monte Carlo where you will stay until November 22nd. Priced at $2,945 per person. There is also an Iberian Jewels trip from November 29th to December 11th (12 days) – This cruise includes overnights in magical Marseille, Barcelona, Mallorca, Cartagena (Spain), Gibraltar, Cadiz/Seville, Portimao and Lisbon. Guests will be able to savor world-class cuisine in these locations and also visit castles, monasteries and museums. Priced at $3,375 per person. 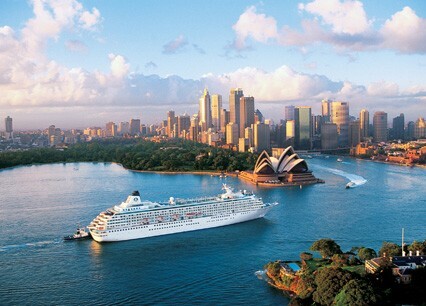 Crystal Cruises is one of the world’s most awarded luxury cruise lines, having been honored with prestigious accolades from trusted national outlets and their readers such as Condé Nast Traveler and Travel + Leisure for more than 20 consecutive years.